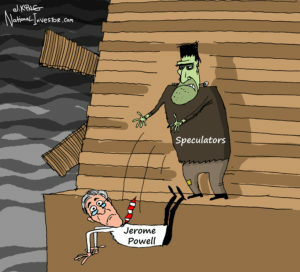 Before he could even find the chairman's rest room at the Eccles Building, new Fed Chairman Jerome Powell was faced with his "baptismal" market upheaval. In a fairly broad recap of the antics in the markets of the last week or so, I take some time cutting through the hysteria (including, of course, the almost immediate calls from some that Powell do "something" to cover investors' losses.) Most of all, I explain why we are now at last back to a two-way market; and why that should be a GOOD thing.